Consumers look for social media signals and trusted external third-party review sites to provide insights before engaging with a new business or committing to a contract or purchase. 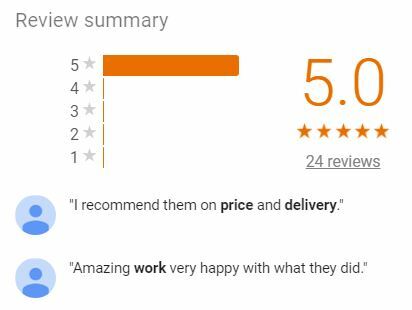 Businesses need to consider how their reviews for their products and service appear online, as well as what strategy they employ to respond and manage the online reviews. Businesses can’t afford to bury their head in the sand and ignore the online review process, as their actions offline will generally lead to what appears as a permanent reference or sentiment associated to their business. Reviews are included with all the major search engines within their search engine results SERPs for a consumer query about a business. Search engines are focused on providing an effective and convenient consumer experience, and understand that with the limited time available in the fast-paced online world, making decisions for consumers is influenced by the brands that appear matching the search query and intent of the user. But how to differentiate when there is so much competition in the results that are generated matching the query? That next step for consumers that helps to provide quick and immediate cues as visual points of difference are star ratings, and multiple review sites indicating consumer sentiment for the selected brand. This same sentiment analysis will be used by search engines as part of their own search algorithm to determine which business should appear above another within the search engine results. No reviews, or poor-quality reviews, are not going to help your ranking within search engines. Whether a business creates a profile themselves, or not, the brand profile may be created by the third-party review sites or consumers themselves without any involvement of the business! Consumers can post public reviews on your business within these sites at any time. What appears then in these profiles, an incorrect business name, logo version, description, address, contact details and business features may be crowd sourced or obtained from outdated information sourced elsewhere. It is therefore important for businesses to manage their online reputation and consistent brand presentation identifying these profiles, taking ownership, and updating them with the correct brand and business information to aid consumers. the ability to address their concerns are not made readily or conveniently available to them, they have now learnt that *venting* on social media is the soap box for them to stand and air their grievance, shouting it to the world. Have you considered the impact of your customer service approach and the ramifications to your online marketing efforts? Now that online reviews are part and parcel of the reputation management and online presence for businesses, customer service practices now need to adapt and change to suit this new era of customers and the free flow of information online. consumers research online before entering a store, but more than 90 percent of goods are still sold in stores. It also shows us that 84 percent of consumers trust reviews just as much as word-of- mouth recommendations from people they know. When people realise they want or need something — a product, a vacation, a family activity, a piece of information — they instinctively turn to search. People search throughout their day in “want-to-know,” want-to- go,” “want-to- do,” and “want-to- buy” moments. Can they find you when they want you? Will they continue with the engagement if your reviews are poor? Brand and reputation management is not being an ostrich – burying your head in the sand. Negative reviews matter and so does your approach to handling them. I appreciate that responding to negative reviewers can be tricky, and there is no one solution that fits all. A brand has a lot to consider in their approach. When reviews are posted on third-party review sites, the business when they have a profile will sometimes be allowed to privately respond to the reviewer, to find out more about their experience and an opportunity to address a concern directly. When this private option isn’ publicly post a response. t available the business has the option to publicly post a response. It’s important to respond quickly with a personalised, useful message to the reviewer. Note: Don’t react and respond when angry. Online trolls (and psychopaths), can easily get under your skin, and have a talent at bullying, creating fear, or simply upsetting people. Put your professional cap on when dealing with this, and don’t personalise the feelings that are caused by angry and negative people. How you as a business deal with negative reviews can sometimes convince other readers to give your business a try. We all know that there are negative people who can whinge at a drop of a hat, or may have other agendas (a negative SEO strategy to ruin a competing business reputation for example has become more prevalent over the years unfortunately). If a potential customer reading reviews sees a small business owner or a manager responding to negative comments in an understanding manner, it gives that business a better reputation despite the negative press. You can help repair and undo some of the damage caused by the negative reviews if you respond to each negative post with a personalised message. Turn it around, create an opportunity. Sometimes putting your hand up and saying we got it wrong on this day and have put new processes in place to address the concern so that it doesn’t happen again, is an option. Even positive reviews should receive your time, effort and attention, to receive a response. Saying thank-you and showing appreciation of the time and effort made by the customer to write the review should be considered good form. It also shows other customers that you value them, and their comments, and leads to more reviews. Opportunities also abound with positive reviews and these types of users, as the marketing department consider the opportunity to amplify the reach and leverage key influencers in selected social media channels, as well as using the review as a marketing campaign in the channel or other mediums. Encourage return visits from these types of clients, as they are more likely to purchase or deal with the business again. A business can’t control what is said about their business, but they can prepare, monitor and listen, be ready to respond, and actually respond and address concerns or say thank-you! The business can train their staff and customer service representatives with an awareness of how their actions, approach, service, language and interactions can lead to an immediate online response affecting the brand’s reputation. Silence is not a solution for a business, nor the customer service team, as it may directly cost the business future customers. Encouraging reviews, and responding appropriately may actually establish a competitive edge over competitors and influence search engine results through improved sentiment analysis to improve rankings for the business in online results. Google Search Results – Google My Business provides a means for businesses to manage their profiles within the Google ecosystem. Google Maps results for a business may contain non-existent closed business locations, duplications, incorrect business address or contact details. These can all be managed and maintained within Google My Business. Google provides a range of marketing tools for businesses within this platform including AdWords, Analytics, Social Media Posts and Review Management. 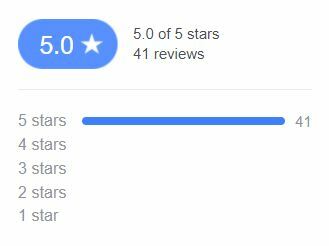 Facebook Business Pages contain reviews as a menu option. These can be disabled for businesses if need be. Managing the reviews are done within the Facebook business tools, requiring Admin access to the page. Many consumers function directly within the Facebook ecosystem, performing searches for businesses, asking for recommendations, reading the reviews and even engaging directly with the business through Facebook messenger as a preference to phone, email or contact forms. Yelp provides a consumer review service for local businesses beyond just accommodation, restaurants and bars. Have you secured your business listing on Yelp? There is a convenient app for business owners to manage their Yelp listing for iOS and Android. Respond to reviews and engage with consumers on this channel. Trip Advisor is not just for international travellers planning their next vacation. These reviews can appear directly within the search engine results for the business. Popular for local users as well as interstate visitors, Trip Advisor provides feedback on places to visit as well as activities to do in a location whilst you are there. Toby Creative – Branding & Marketing provide a range of business marketing solutions, reputation management, social media management, crisis management and search engine marketing for Perth businesses. Our Perth SEO services are comprehensively designed to improve your business visibility within the search engine results and include review management and optimisation for search marketing. Would you like some further information on the Toby Creative range of marketing services? Please phone (08) 9386 3444, email info@tobycreative.com.au or fill in our contact form to book a no obligation free initial consultation at your location so that we can discuss your specific marketing requirements. It has been a slow progression of change experienced over the past ten years, as more and more businesses now accept the importance and adopt managing the online review process for their businesses. Implementing online alert systems such as Google Alerts, TalkWalker alerts and brand monitoring built in to certain online marketing tools such as HootSuite, WebCEO and other tools, has now created the mechanism for monitoring and visability for brands to see new reviews within shorter time-frames, and subsequently be able to respond quicker to address a concern. More companies are now realising the need to set up accounts for the brand on review sites for a proactive approach to managing their reputation. Matt, you’ve proved to me how important being proactive with review sites is for small and medium sized businesses. I’ve seen how they gain authority on the internet and deal with incorrect information and posts.